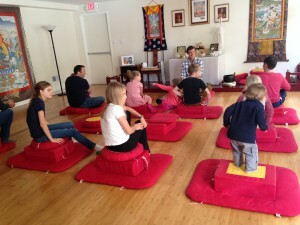 In Shambhala, we celebrate and honor the turning of the year. We embrace the various qualities and energies of each season. We mark the passage of time with ceremony and joyfulness. The Winter Solstice is particularly special to me. It is a day I feel most connected to the earth, to my human life (and death), to the quiet space within, and to the brilliance of light. 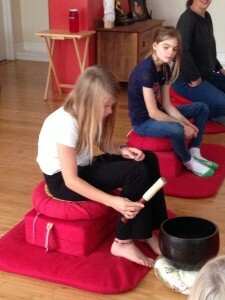 The Shambhala tradition of Children’s Day has been a wonder and delight for me. This holiday, established by Chogyam Trungpa Rinpoche in 1978 contains all the elements of magic one could wish for in a holiday. It is appropriate to honor our children at this particular time of year. Much like in the myth of the Holly King and the Oak King from pagan lore, the play of youth, old age, and light versus dark is particularly visible as the trees lose their leaves, days grow shorter, and the land seems closer to death and darkness. We remember life is a cycle, and Earth moves through her seasons just as our human bodies do. We celebrate the vibrancy, curiosity, and buoyancy of youth amidst the reality of old age, sickness, and death. 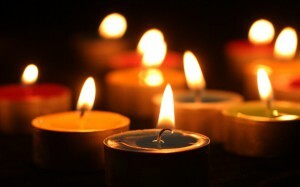 We remember the brightness of our hearts never dims. We must recognize the bravery, gentleness, purity, and curiosity of our children. Much like Iliana, the heroine in the Children’s Day Story, we all have this capacity to seek out the sun, to face obstacles with resilience, and to act for the good of our people. It is important to honor and celebrate confidence in our children. How we relate to our children determines how they relate to the world. Richard Vogler recounted his memories of celebrating Children’s Day with Trungpa Rinpoche and Lady Diana as a child. Children’s Day celebrates and acknowledges the young people in our community. This celebration honors the idea we have as much to offer as everyone else. There is so much joy and richness in these moments with each other. The Winter Solstice and Children’s Day is more than being the darkest night of the year. It’s about incredible brightness. It is about settling, being at home, and resting with the people you love. It is about the quality of being. This Children’s Day, as we celebrate with our families and our communities, let us be settled and at home in the brilliance of our own hearts.